Condo Culture | Day in the Life…. Have you ever wondered what’s it’s like to be a Kitchener resident? Maybe you’ve only lived in Waterloo and are wondering what all the hype is about. Or are tired of the Toronto traffic and are curious about a more laid-back lifestyle with serious community vibes. Well we’ve asked a Kaufman Loft resident to describe a perfect day in the city and we’re pretty convinced. Check out this week’s blog as she recounts her perfect day in her favourite city. From the moment I moved here I was feeling the #DTKlove. Downtown Kitchener is a true community and allows you to be a part of its innovative growth. As a Kaufman Lofts resident, I live in the midst of the up and coming innovation district and absolutely love it. The new LRT and Transit Hub directly outside the building at King Street and Victoria Street will add convenient transport and the ability to easily go to Toronto or Hamilton. The morning light streams through the giant Kaufman windows and wakes me up. I eagerly get dressed and head out, ready to start the day. 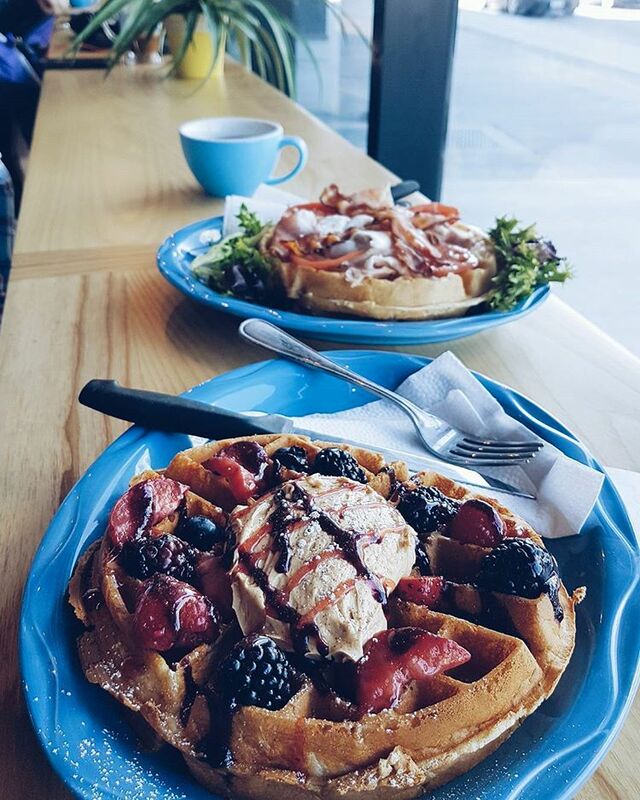 My first stop is right across the street at the new Settlement Co. for a delectable waffle and perfectly crafted latte. Next, I head to the KPL - Kitchener Public Library which is one of the most innovative libraries in the region. I spend some time there reading the news and working taking some breaks in between to stroll around Centre in the Square and down to Victoria Park. I stop for lunch at TWH social in the basement of our local hotel, The Walper. The exposed brick walls and mood lighting make for the perfect lunch or after work spot and the food always delivers. After a productive day, I meet some friends at The Lokal, Kitchener’s newest cocktail bar on the second floor of the Walper Hotel. It’s not open late but is the perfect spot for an incredible after-work cocktail. Stacey, their renowned bartender, is known for winning local bartending competitions and she’ll whip up something amazing for you. My ideal end to a night like this would be a young professionals event at THEMUSEUM through their Museum After Dark programming. The Beer Series is one of my favourite set of events which pairs tasting local breweries with certain activities such as making a terrarium, building lego or having a Game of Thrones themed dinner! The best part about all of this is that everything is within a 10 minute walk and at the end of the night I can enjoy a beautiful stroll down King Street back to my home. Kitchener - you truly are an amazing city!